When you arrange your tank, you have the freedom to decorate it however you want. Although there are people who prefer to have a tank without plants, the rest want a planted aquarium that will emphasize their beautiful fish. Depending on what kind of fish you have and how big your tank is, you can also choose your plants. Very often you want a carpet of plants to cover the bottom of the aquarium and produce a luxurious look. 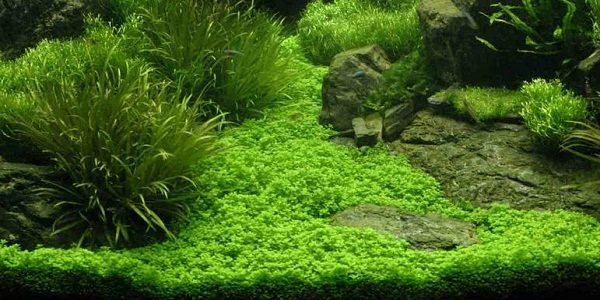 The Staurogyne Repens Carpet is very popular and also very easy to grow and maintain. The plant originally comes from Brazil, in Rio Cristalino. The Staurogyne grows between rocks and on the waterline in the sun. Until recently, it was not considered an aquarium plant. Since then, more and more aquascapers introduced this plant in their tanks and learned how to maintain it. One of the primary reasons why this plant became so popular so quickly is the way it forms a beautiful carpet on the bottom of the tank and grows gradually. This means it does not have to be cut or moved every few months and will keep its shape for quite some time. 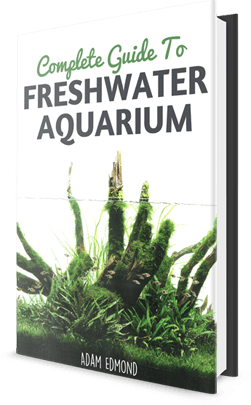 Although the plant is very versatile and can survive in almost any condition, it is best to plant it in aquariums with soft to medium hard water. If the substrate you use is not rich in nutrients, you might have to add chemical ones so the plant can grow properly. Also, do not use sand that can suffocate the roots of the plant. Once you plant Staurogyne, you have to avoid moving the substrate, as the Staurogyne will create a dense root system. In nature, the plant grows right in the sun, so it will not develop properly if you don’t have a good lighting system. You will find the lower stems will not grow at all, while the ones from above will grow more than they have to, taking all the nutrients from the ground. You have to keep the lights on for at least 12 hours per day, and make sure you don’t have strong light during the night. Natural light is not recommended as this can make algae appear. Adding CO2 will also help your plant grow properly. The water needs to be between 68-86° Fahrenheit (20-30° C); however, the warmer the water the better it will be for the plants. When first adding your plant to your aquarium, you will have to plant several stems close to each other. If your substrate does not have nutrients before and you want to add chemical ones in the water, do it one day before you plant them. Put the root of the stems in the substrate, making sure they are at least two centimeters from the plant in the substrate. These are the pieces that will create roots and keep your carpet together. One important thing to remember is this plant will grow over time, although it seems small at first. Don’t bring too many stems and place them all over the bottom of the tank since when they start growing they will occupy much more space making your tank more crowded than you want. A dozen stems should be enough to start with and you can add more later on if this does not cover the entire tank. The plant grows slowly, so it is not high maintenance. On the other hand, some of the stems grow much more than the other ones and destroy the “carpet” look of the plant. In this case, trim them. Every few months you will have to trim the entire plant to bring it back to the initial size; try to do this without taking out the roots or moving the plants from their original place, as they can be damaged by this. The best combination for this plant is with other small plants, as this will create the illusion of a bigger tank and it will leave plenty of space for the fish to swim freely. In addition, in the middle of the carpet you can place a rock or wood to create the impression of a natural habitat.